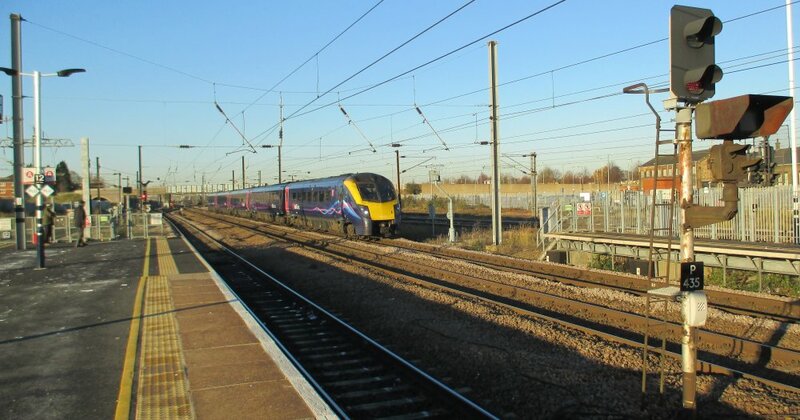 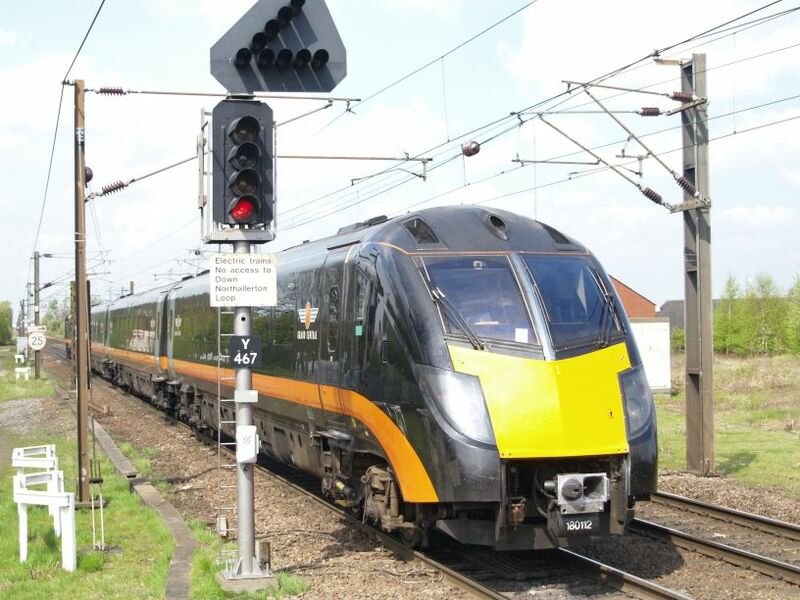 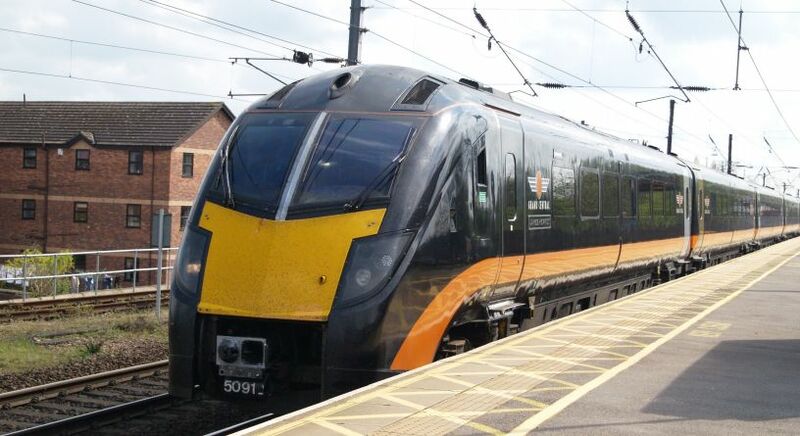 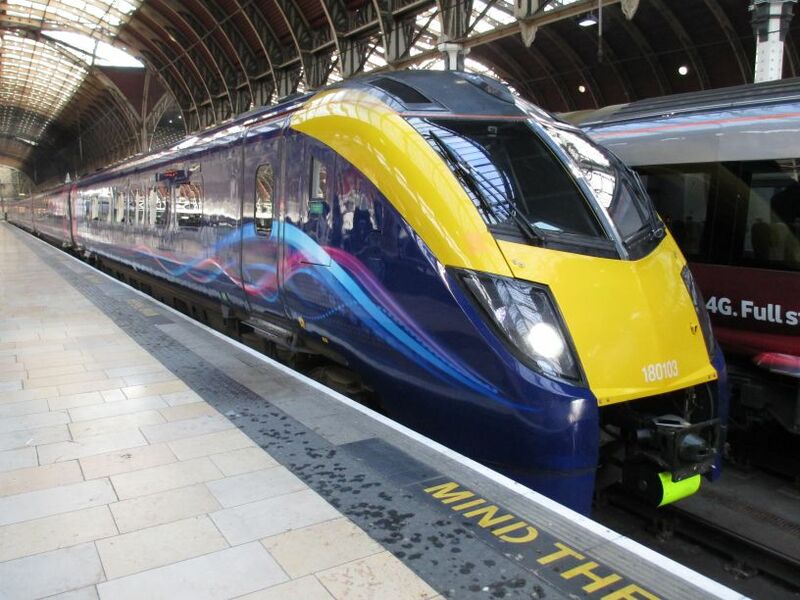 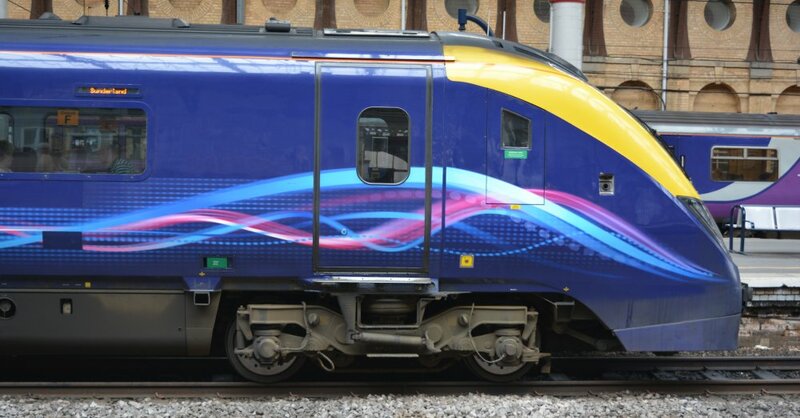 Constructed of steel by Alstom Birmingham in 2000-2001 and designed to travel at a maximum speed of 125 mph and can work with Class 175 train units. 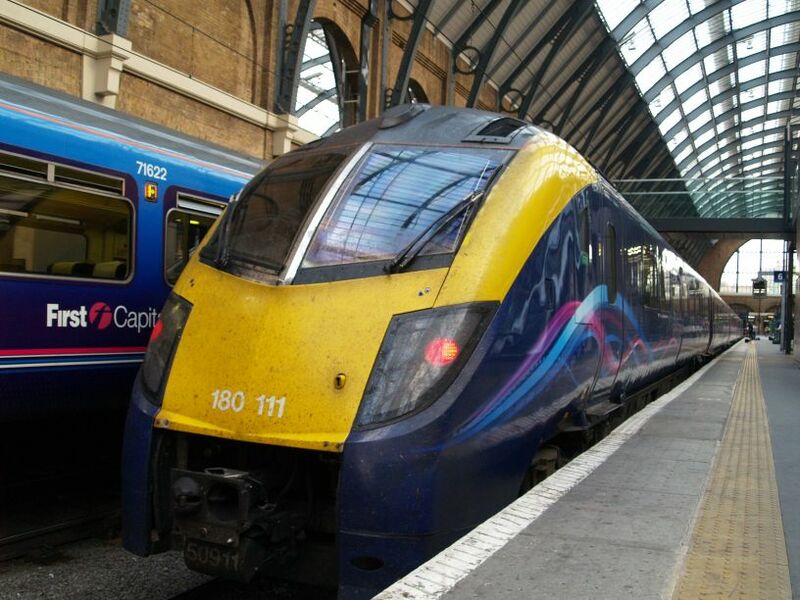 Class 180 express DMU 180106 at York station with a Grand Central Kings Cross - Sunderland service (April 2018) Profile below. 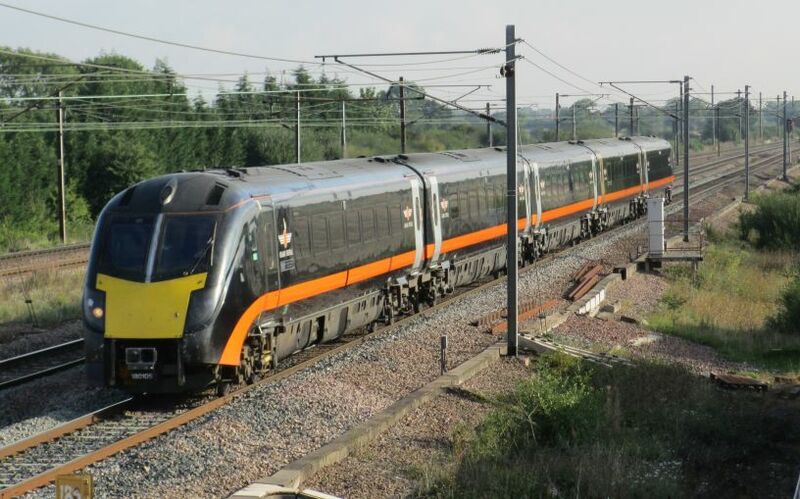 A Class 180 DMU (leading driving carriage 50905) Grand Central heading for Thirsk, York and Kings Cross soon after leaving Northallerton station (June 2015). 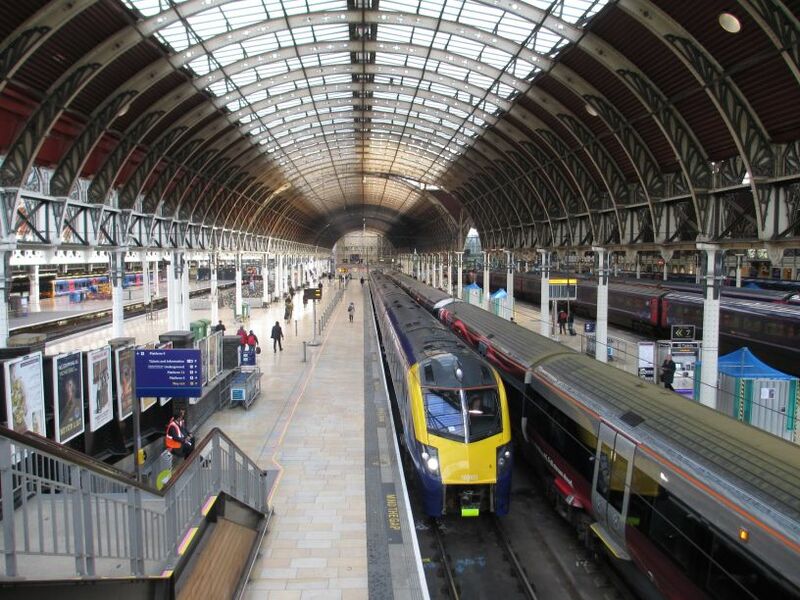 Class 180 103, express DMU set 180103 under the splendid arches of Paddington Station, London. 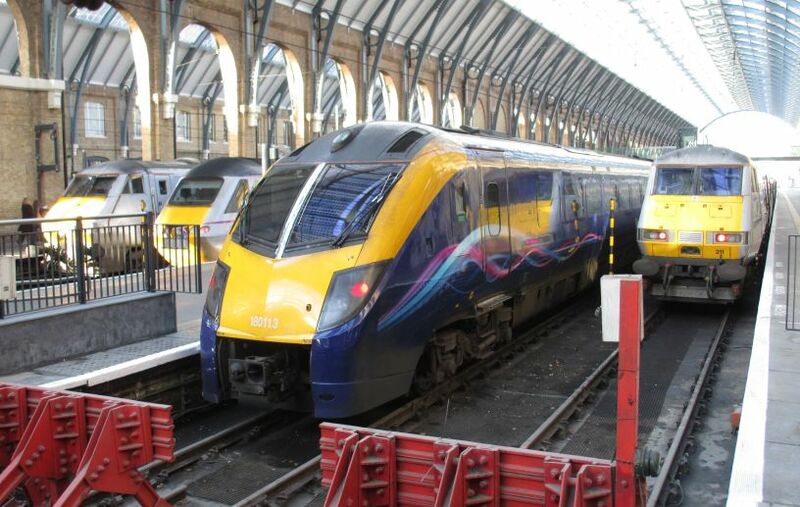 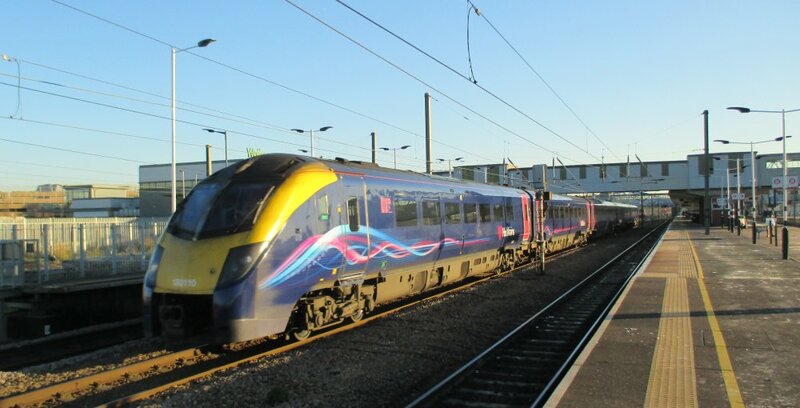 Class 180 high speed DMU unit 105 (180105, named THE YORKSHIRE ARTIST ASHLEY JACKSON) on a Grand Central express train for King's Cross, south of York at Colton Junction. 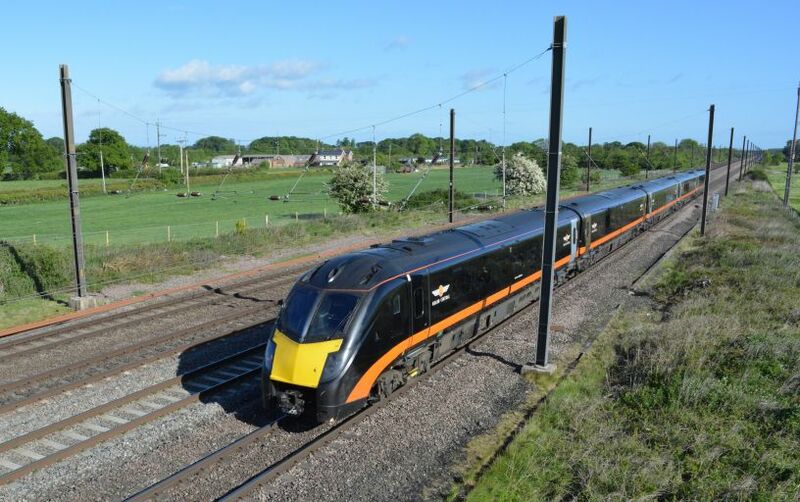 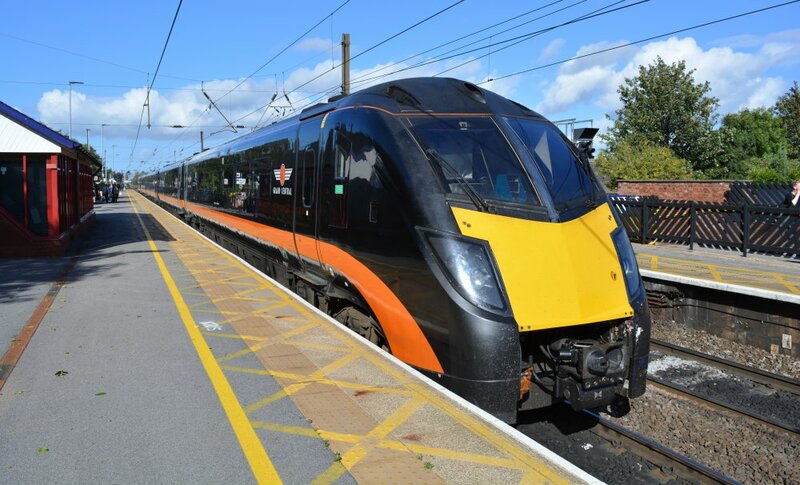 Profile of Class 180 112, 180112 JAMES HERRIOT in the Grand Central livery of black with an orange stripe. 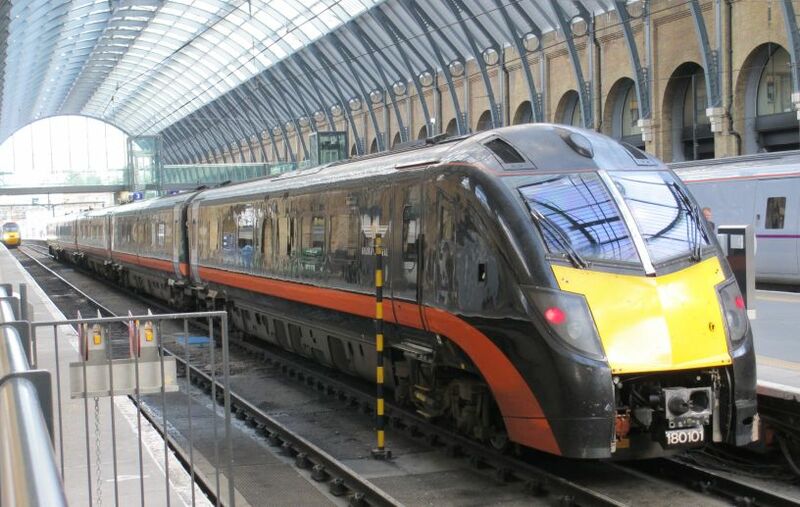 Class 180 EMU 101 180101 standing in King's Cross Station with a Grand Central trains for Sunderland. 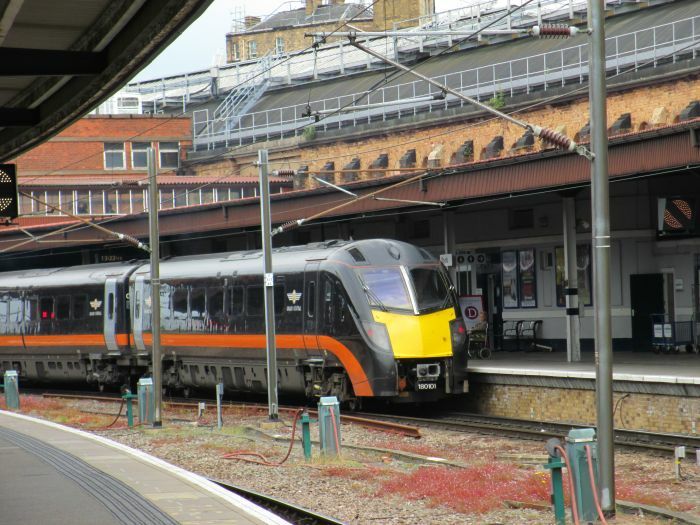 GRAND CENTRAL train headed by express passenger DMU Class 180 180101 (180 101) standing in York station with a train for London Kings Cross. 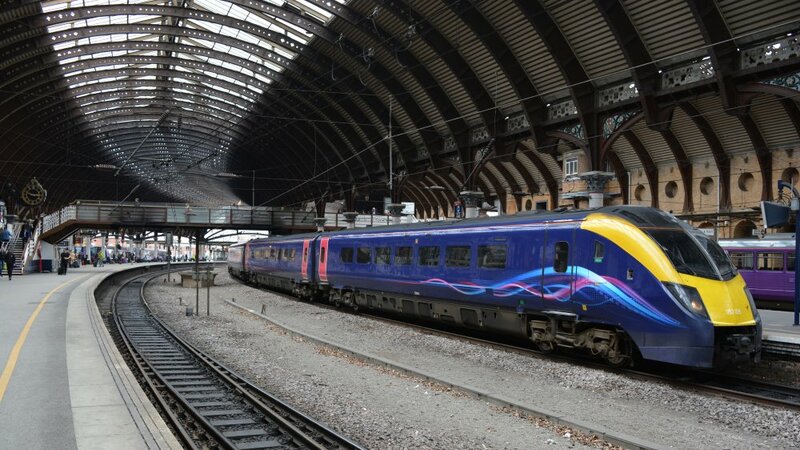 Class 180 101 180101 hauling a Grand Central train from London via Sunderland, but here at Newcastle Central Station. 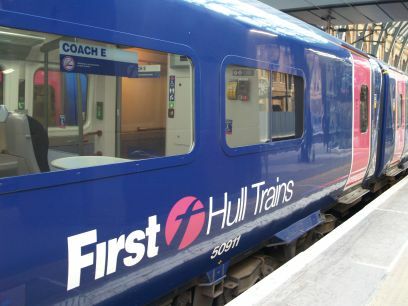 Class 180 consist of five car carriage sets. 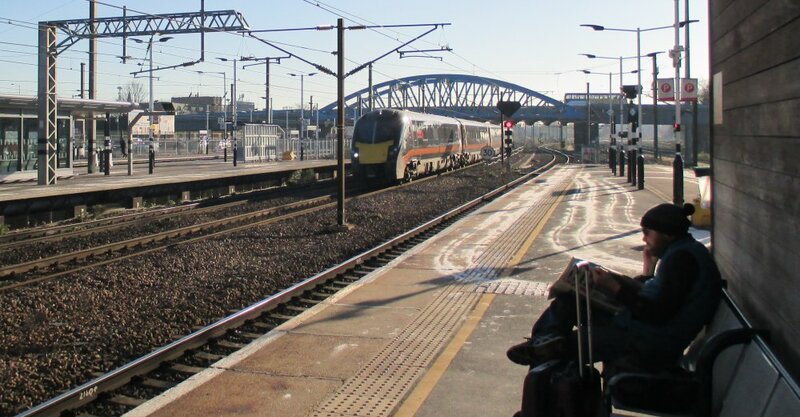 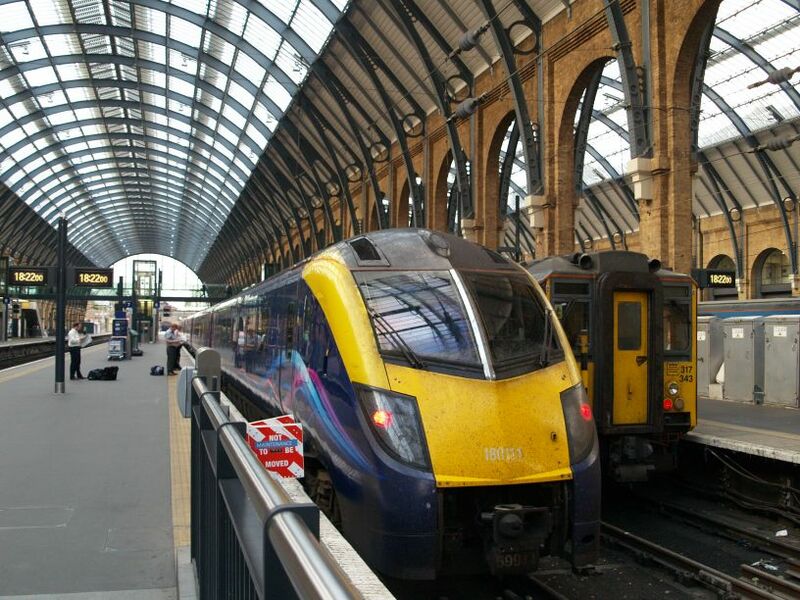 A driving van trailer for a Class 91 locomotive, a Class 43 locomotive, and Class 180 express DMU 180113 plus another DVT at Kings Cross Station. 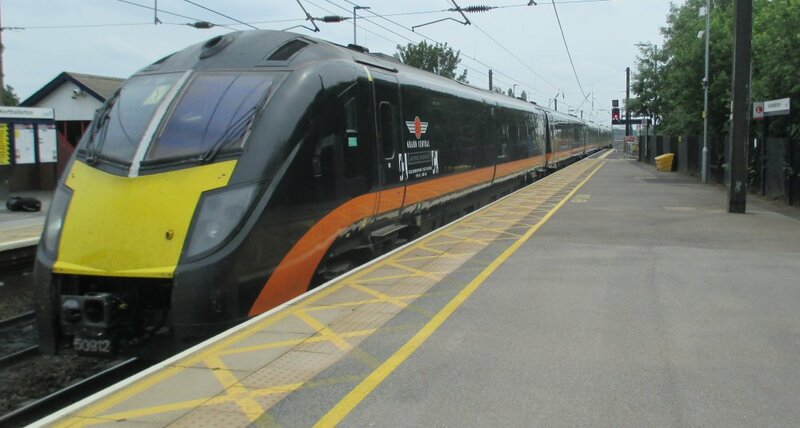 Grand Central Class 180 "Adelante" express DMU at Northallerton Station with a Kings Cross to Sunderland service. 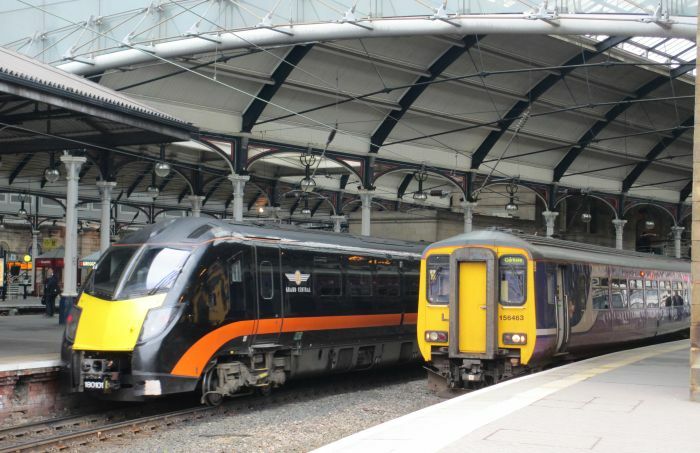 DMSL 50912 and 59912 at either end of Class 180 180112 named "JAMES HERRIOT CELEBRATING 100 YEARS 1916-2016"